The Atlanta Hawks waived Lin on Monday and Jim Tanner, one of his agents, confirmed Lin's plan to join the Toronto Raptors, which was first reported by ESPN. Atlanta Hawks guard Jeremy Lin looks to pass the ball under the basket against Los Angeles Clippers forward Tobias Harris (left) and guard Patrick Beverley (center) and guard Shai Gilgeous-Alexander in the first quarter of their NBA game at Staples Center in Los Angeles in this January 28, 2019, photo. 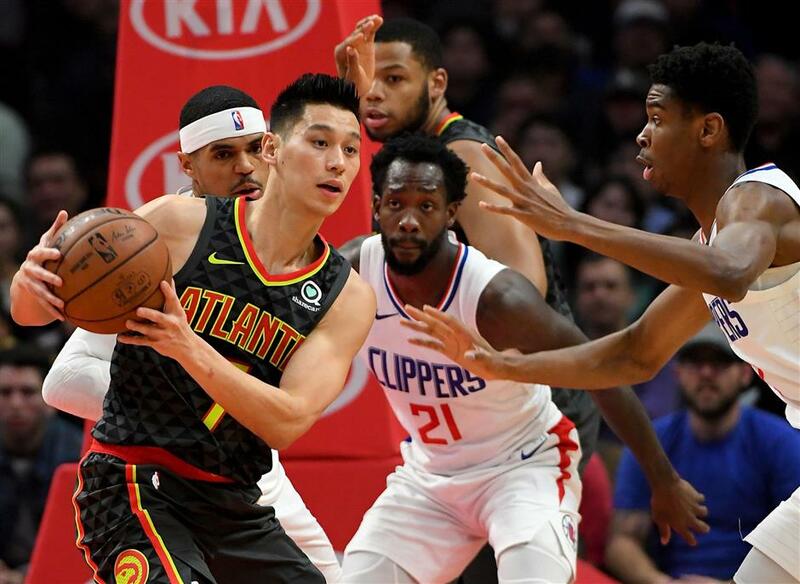 Jeremy Lin is on the move again, with the veteran guard getting waived by the Atlanta Hawks and intending to sign later this week for playoff-contending Toronto Raptors. Toronto will become Lin's eighth National Basketball Association franchise, after stints with Golden State, New York, Houston, the Los Angeles Lakers, Charlotte, Brooklyn and this season Atlanta. He appeared in 51 games for the Hawks, all but one of those as a reserve, averaging 10.7 points this season on nearly 47 percent shooting. Lin gives the Raptors obvious depth at both guard spots, and will likely — once he clears waivers and joins Toronto — spend time backing up point guard Kyle Lowry and shooting guard Danny Green. And he will be needed soon, with the Raptors announcing on Monday that backup guard Fred VanVleet is expected to miss at least three weeks with a partial ligament injury to his left thumb. The plan to enter into an agreement with Lin comes one day after the Raptors finalized the conversion of two-way player Chris Boucher's deal to an NBA standard contract. While the Hawks languish eight games out of a playoff spot at 12th in the Eastern Conference on 18-38, the Raptors are 41-16, second in the East by a game to Milwaukee with the third-best record in the league after the Bucks and reigning champions the Golden State Warriors. Lin has averaged 11.8 points in 457 career games. He has been part of three previous playoff runs, in 2013 and 2014 with the Houston Rockets and in 2016 with the Charlotte Hornets. In 2012, Lin was a last alternative for an injury-hit New York lineup but he came off the bench and sparked the Knicks to seven consecutive wins with clutch shooting and timely passes, a whirlwind effort that became known to Knicks fans as "Lin-sanity."